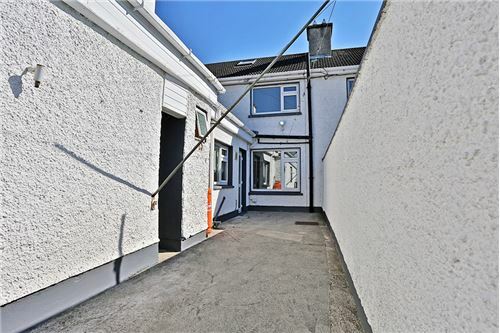 Top 10 International Selling REMAX Agent for 2017, Team Lorraine Mulligan of RE/MAX Results welcomes you to this three bedroomed family home set in the heart of Celbridge. This is an ideal starter home or for anyone looking to trade down. It enjoys a kitchen extension and a large garage with rear access and a south west facing garden. 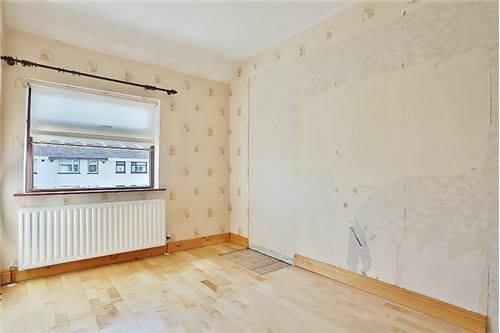 Although in need of some upgrading, all rooms are bright and airy. 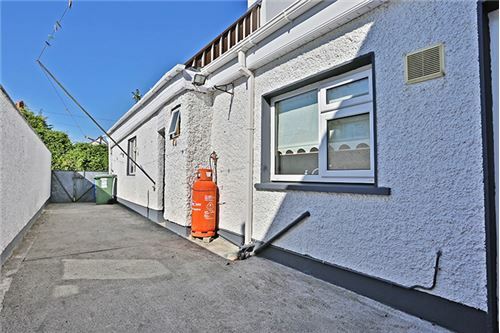 St Patrick’s Park is set in the heart of Celbridge Village, with a strong sense of community and is only a short stroll away from all major amenities including shops, pubs, restaurants, public transport and schools. 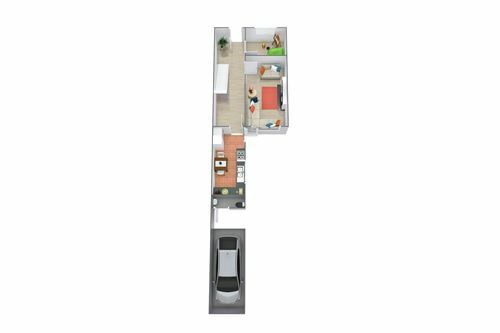 Accommodation comprises of 3 bedrooms (2 double 1 single), kitchen/dining area, living room, playroom and main bathroom. Spot lights, high quality oak kitchen, tiled splashback area, stainless steel sink, area fully plumbed, fridge freezer, washing machine, extractor fan, crystal display cabinet, door leading to garden area, ceramic tiles. Centre rose, light fitting, feature fireplace with a wrought iron inset and polished hearth, curtains, blinds, laminate wood flooring, t.v. point, phone point. Coving, centre rose, light fitting, blinds, wooden floors. Centre rose, light fitting, blinds, downstairs storage, wooden floor. 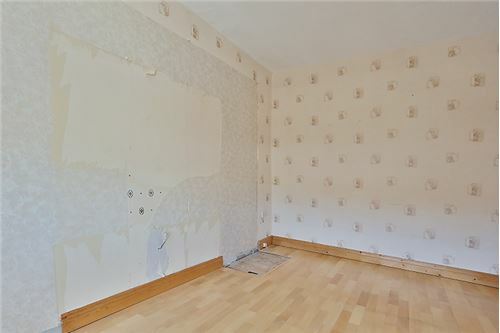 Centre rose, light fitting, hot press with immersion and shelving, carpet, attic access, attic floored and plasterboard, folding attic stairs. Light fitting, blind, wooden floor. 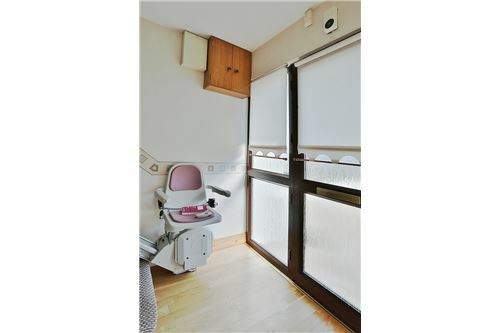 Light fitting, fitted wardrobes, vanity unit, blind, curtains, wooden floor, t.v. point, phone point. Light fitting, extractor fan, shaving light and socket, wall tiling, floor tiling, W.C., W.H.B., electric T90 SI shower. 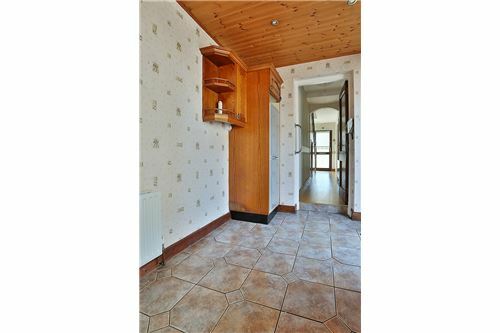 On entering the village of Celbridge turn right at the T junction, take the left at AIB bank, travel up through the development and this home will be on your left hand side. 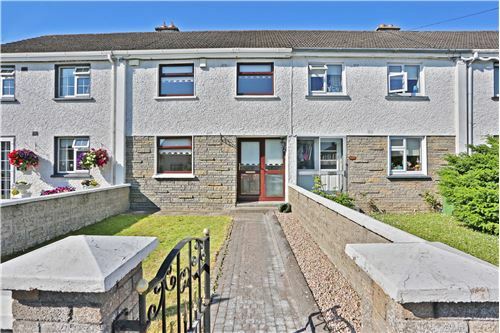 FOR SALE BY PRIVATE TREATY 772 ST. PATRICK’S PARK, CELBRIDGE, CO. KILDARE Top 10 International Selling REMAX Agent for 2017, Team Lorraine Mulligan of RE/MAX Results welcomes you to this three bedroomed family home set in the heart of Celbridge. This is an ideal starter home or for anyone looking to trade down. It enjoys a kitchen extension and a large garage with rear access and a south west facing garden. 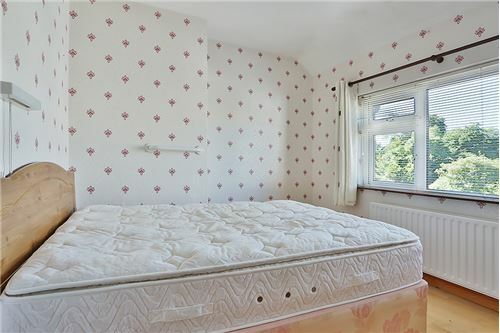 Although in need of some upgrading, all rooms are bright and airy. 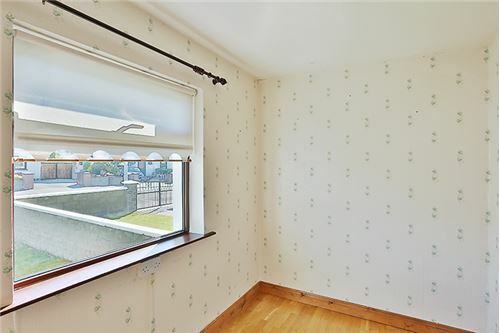 St Patrick’s Park is set in the heart of Celbridge Village, with a strong sense of community and is only a short stroll away from all major amenities including shops, pubs, restaurants, public transport and schools. 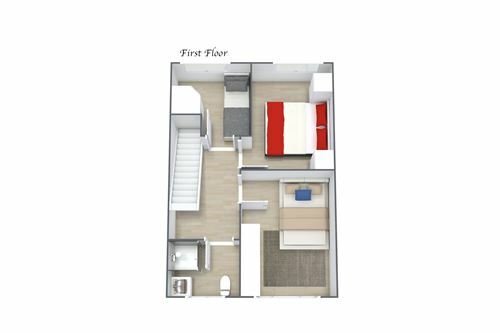 Accommodation comprises of 3 bedrooms (2 double 1 single), kitchen/dining area, living room, playroom and main bathroom. 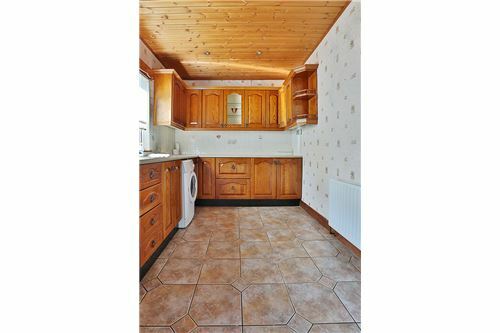 ACCOMMODATION KITCHEN: 4.6m x 2.3m Spot lights, high quality oak kitchen, tiled splashback area, stainless steel sink, area fully plumbed, fridge freezer, washing machine, extractor fan, crystal display cabinet, door leading to garden area, ceramic tiles. GUEST WC: Light fitting, W.C., W.H.B., floor tiles. 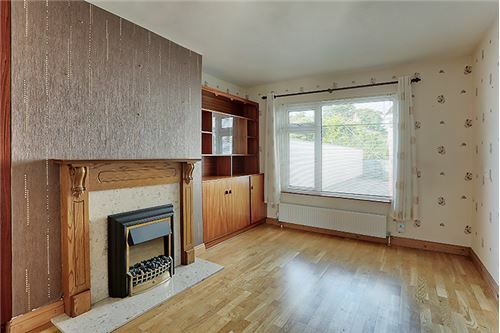 SITTING ROOM: 4.4m x 3.2m Centre rose, light fitting, feature fireplace with a wrought iron inset and polished hearth, curtains, blinds, laminate wood flooring, t.v. point, phone point. 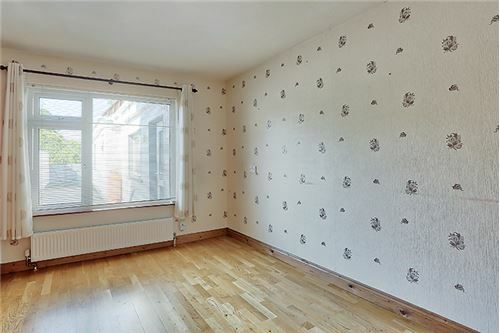 PLAYROOM: 3.3m x 2m Coving, centre rose, light fitting, blinds, wooden floors. 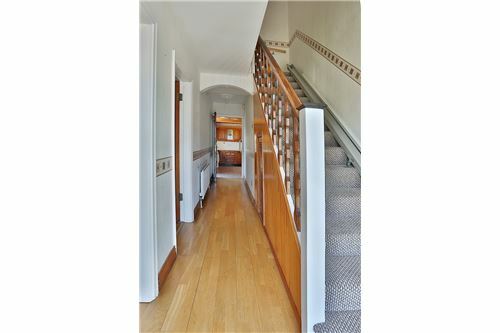 HALL WAY: Centre rose, light fitting, blinds, downstairs storage, wooden floor. 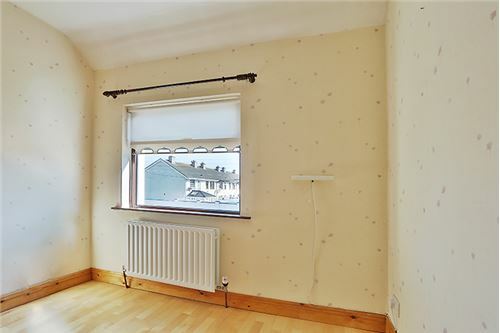 LANDING: Centre rose, light fitting, hot press with immersion and shelving, carpet, attic access, attic floored and plasterboard, folding attic stairs. BEDROOM 1: 2.65m x 3.2m Light fitting, blind, curtains, wooden floor. BEDROOM 2: 3.7m x 2.7m Light fitting, blind, wooden floor. 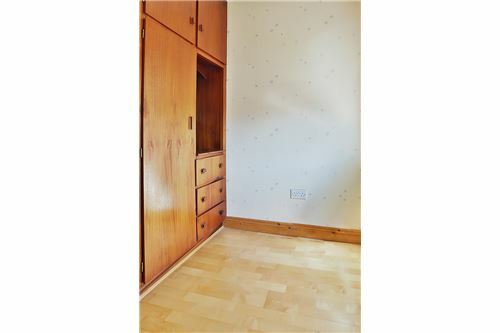 BEDROOM 3: 2.7m x 2.2m Light fitting, fitted wardrobes, vanity unit, blind, curtains, wooden floor, t.v. point, phone point. 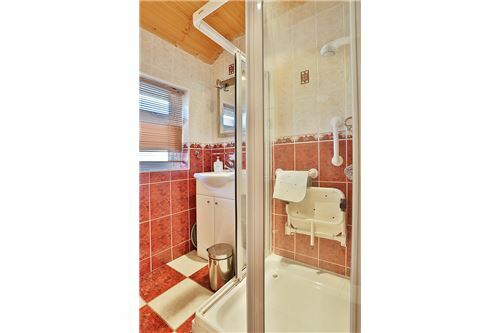 BATHROOM: 1.9m x 1.6m Light fitting, extractor fan, shaving light and socket, wall tiling, floor tiling, W.C., W.H.B., electric T90 SI shower. GARAGE: 6.1m x 2.9m FEATURES INTERNAL: • Selected curtains & carpets included in the sale • Selected blinds included in sale • Selected light fittings included in sale • Attic floored with folding attic stairs • Property fully alarmed FEATURES EXTERNAL: • PVC double glazed windows • PVC facia & soffit • Outside tap • Outside light • Security lights • Landscaped mature gardens • Raised flower beds • Property not overlooked at the rear • Garage (6.1m x 2.9m)– with rear access on to laneway SQUARE FOOTAGE: HOW OLD IS THE PROPERTY: approx. 54 years old BER RATING: E2 BER NUMBER: 109173088 SERVICES: Mains water, mains sewerage. HEATING SYSTEM: Oil fired central heating. SCHOOLS IN THE AREA: Primary Scoil Mochua Aghards 01 627 2963 Boys National School - Scoil Na Mainistreach 01 627 1149 Girls National School – St. Brigid’s Holy Faith Convent 01 627 2922 Glebe Junior School 01 624 2525 Primrose Hill School 01 627 3168 North Kildare Educate Together School 01 627 4388 Post Primary Salesian College 01 627 2166 St. Wolstan’s Community School 01 628 8257 St. Patrick’s Primary School 085 1069985 Celbridge Community School 087 1818212 DIRECTIONS TO GET TO THIS PROPERTY: On entering the village of Celbridge turn right at the T junction, take the left at AIB bank, travel up through the development and this home will be on your left hand side.